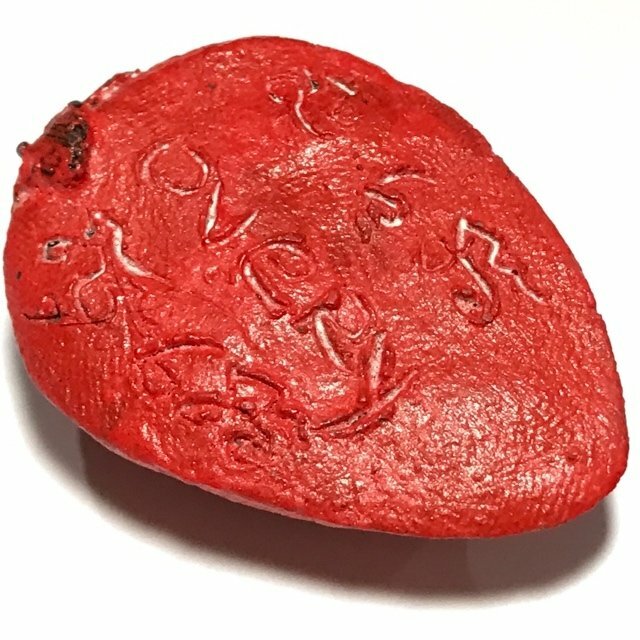 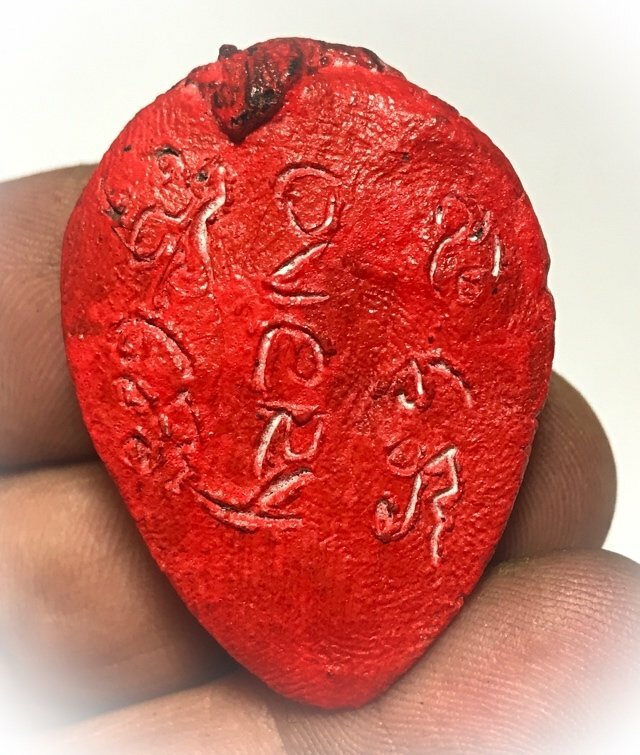 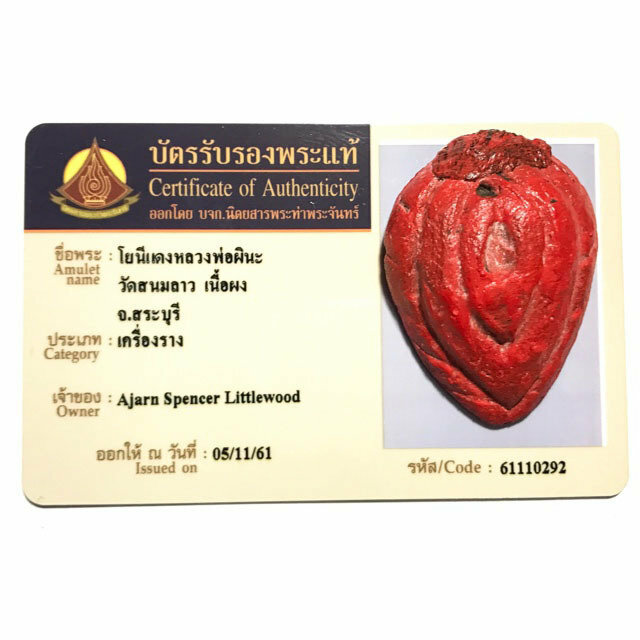 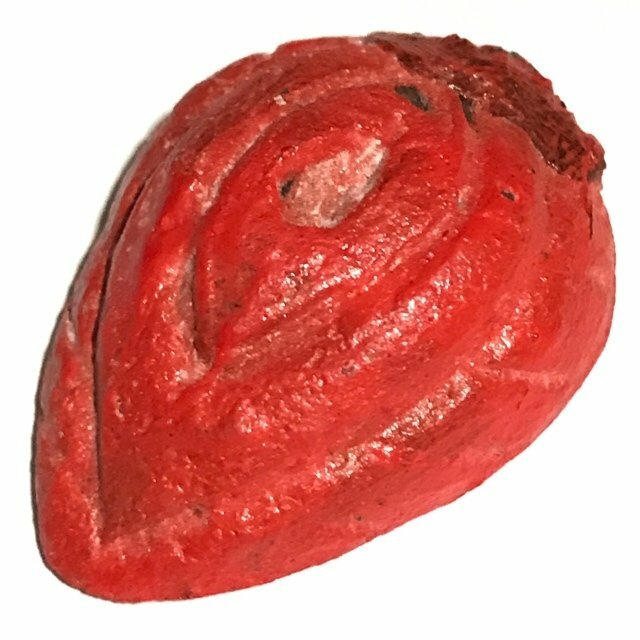 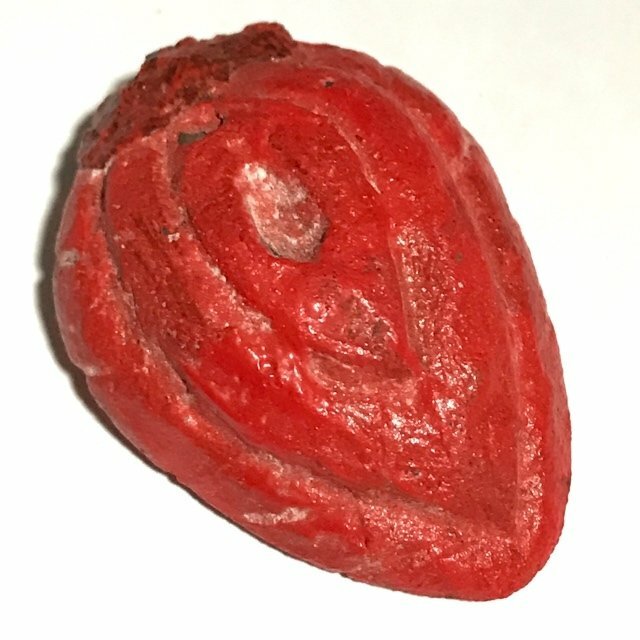 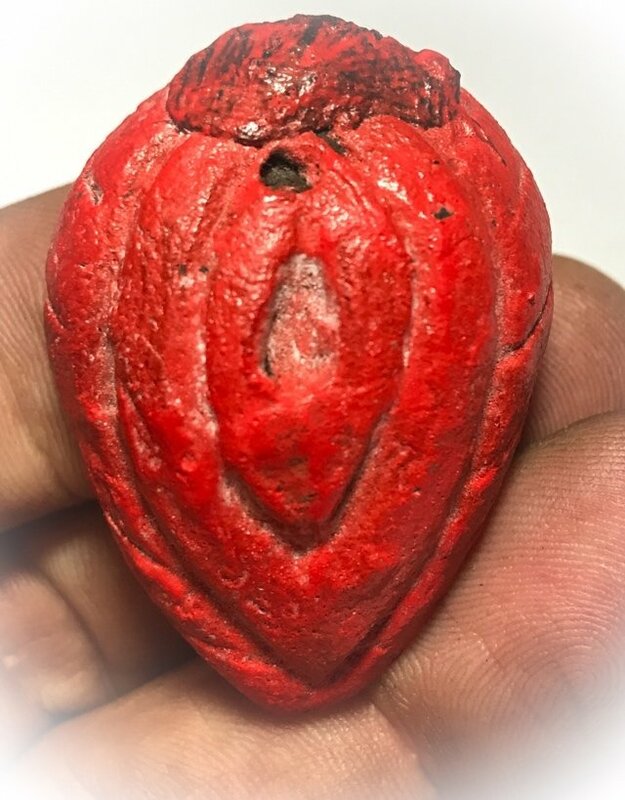 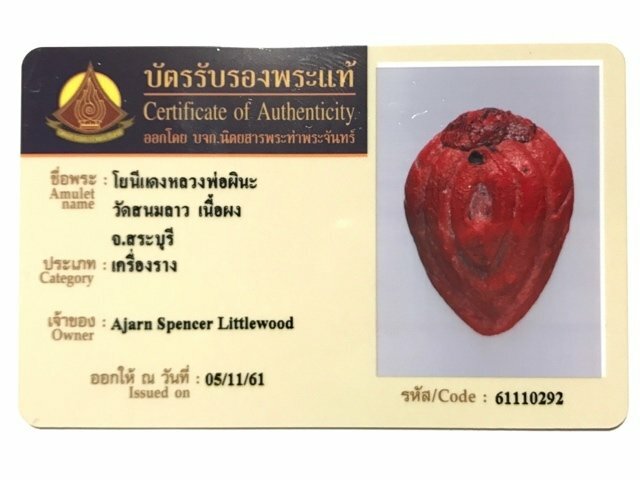 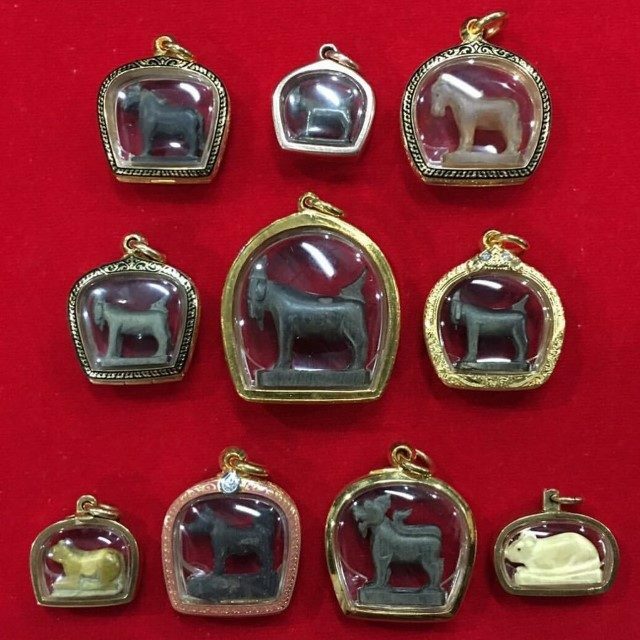 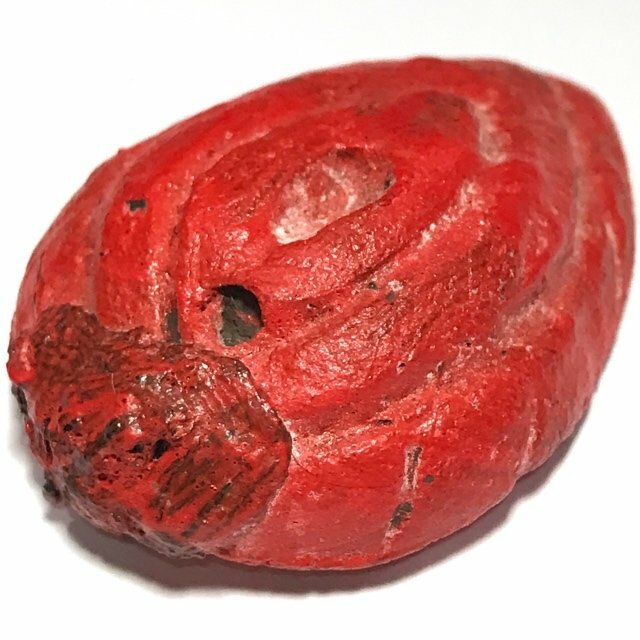 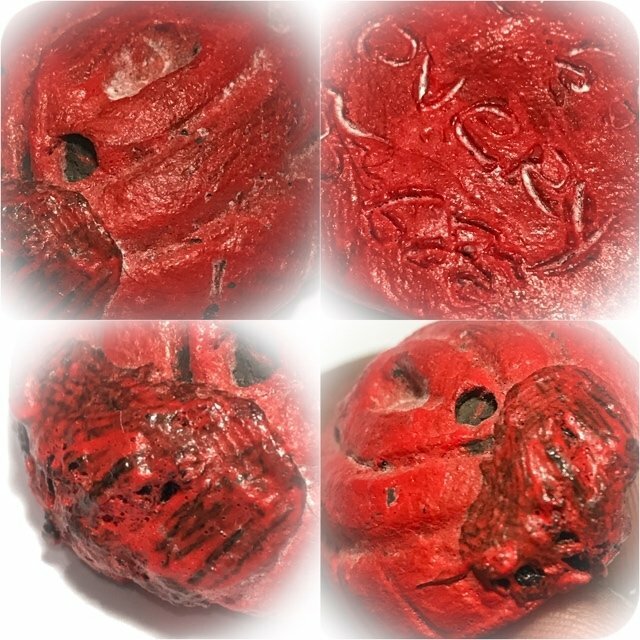 Authenticated and Certificate Early Era Hand Molded Yoni Mae Nuea Horm amulet, in Powerful Prai Powders, from Luang Por Pina, of Wat Sanom Lao (Wat Ta Geuy), with Pong Wised powders inserted, and red lacquer coating, with Certificate of Authenticity series No. 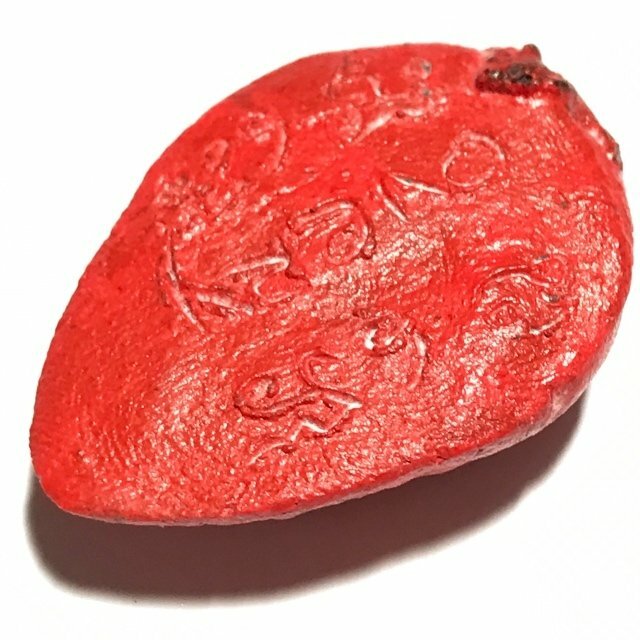 61110292, issued by the Tha Prachan Amulet Society. 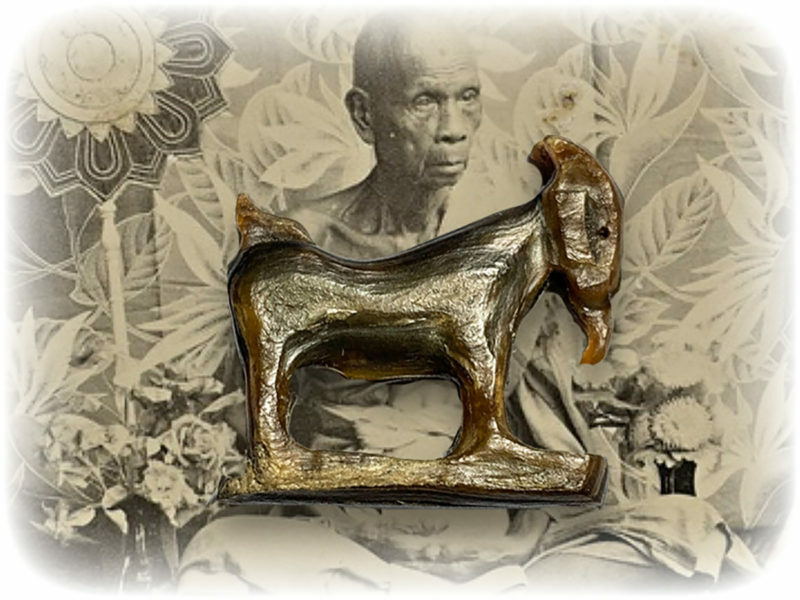 This model is Pim Yai measuring 4 Cm Length x 3 Cm Width x 1.5 Cm Thicknes. 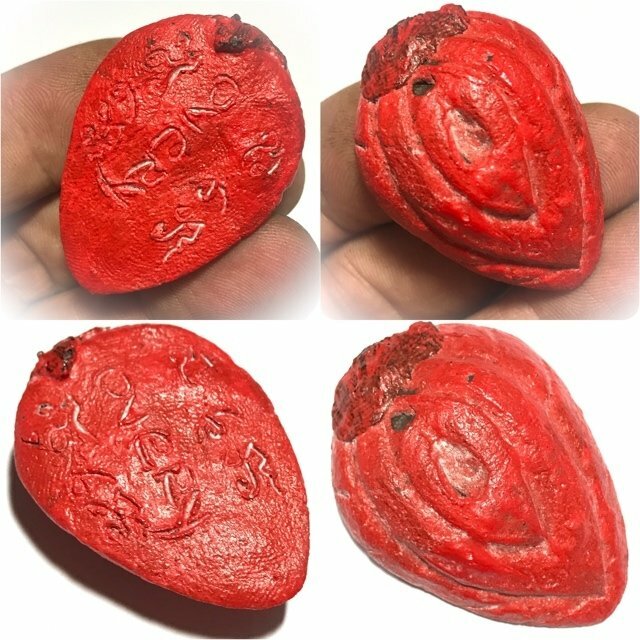 Free shipping is included as with all amulets in our store. 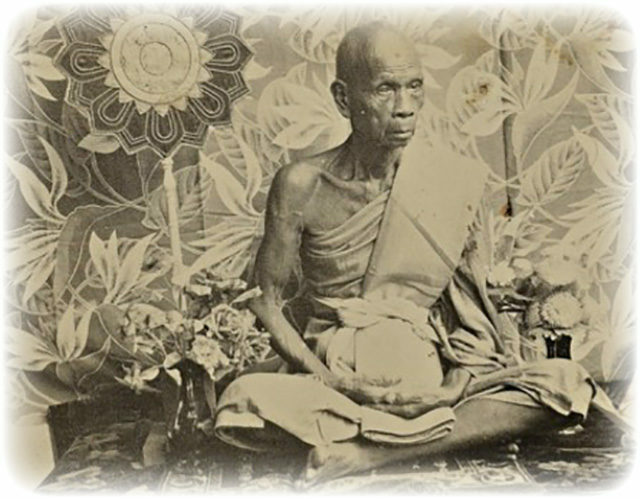 Luang Por Pina is the deceased Abbot of Wat Sanom Lao in Sra Buri and was said to have possessed Abhinya Powers, and to have Mastered the 10 Kasina Powers of Elemental Magical Dominion. 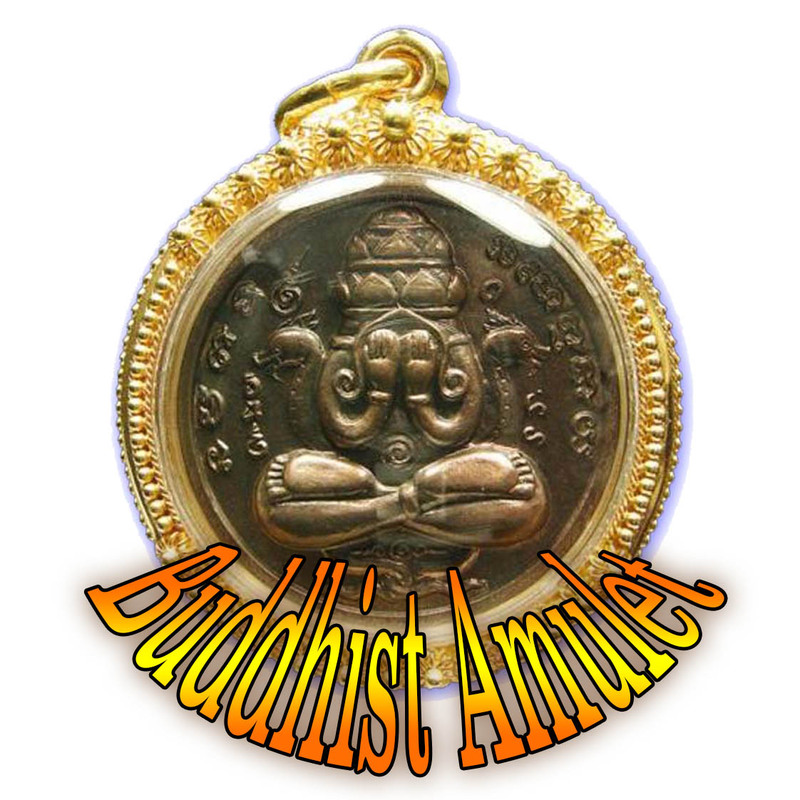 It is said that he was able to read the minds and intentions of other Humans, and bring amulets to life with is Empowerment Methods, and that his amulets were able to give signs and also can be beseeched and prayed to for wish fulfilment (Sarapat Neuk).